HP Inc. (NYSE: HPQ) at SGIA 2018, will demonstrate new large format printing solutions and technologies designed to create new business opportunities for sign, banner, display, and wall décor printers with high-value applications. · HP Applications Center now offers a fresh and improved designer environment. 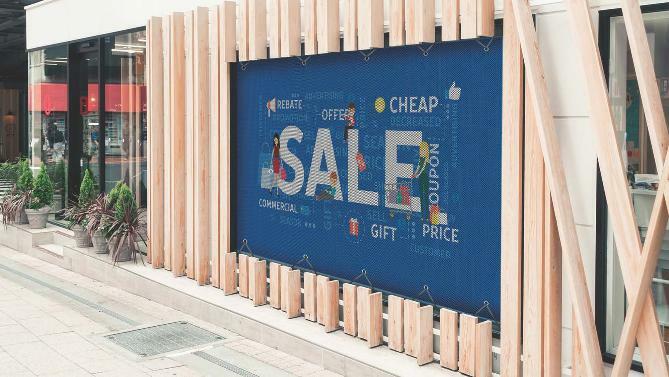 It can be easily accessed via the HP PrintOS platform and empowers PSPs to integrate a cloud design tool for 15 large format decoration and signage applications into their website to grow their web-to-print business and bring in new customers. It offers design content including millions of vector graphics, photos and patterns from Photolia and Pattern Design. Recently HP also added new content providers Unsplash and Vecteezy. · Print Beat and PrintOS Mobile App Revamped: New monitoring and reporting capabilities for Latex printers provide near real-time remote visibility with detailed and aggregated reports for insight into printer status distribution, uptime, ink and substrate consumption. With Print Beat, PSPs, can react quickly to situations in production, control printer performance, and even manage their entire fleet in multiple sites, driving continuous improvement and operational excellence. The PrintOS Mobile App replaces the HP Latex mobile app and offers on-the-go access to the most crucial information with an extra level of security. · The New Configuration Center App: Users with HP Latex 1500 and 3000 Series Printers can now remotely configure printers for new substrates and reprints with full repeatability. Real time access to pending printer actions like color calibrations, printhead alignments or firmware updates keeps the user abreast of activity that significantly reduces the risk of color inconsistency. · Smart Services and Service Center: Customers with the HP Latex 1500, HP Latex 3000 Series, and HP Latex R Series Printers have access to updated PrintOS smart tools, remote diagnosis, and proactive support for high uptime and optimal production performance. Users can now use PrintOS Service Center to manage and track all support calls, tools and processes for quick, efficient, and reliable management of service cases. · New Poster Application: Design and print professional looking posters on the fly with the new Application Center Lite, now available for HP DesignJet Z and T Series, PageWide XL Series printers. Like the full Applications Center it offers access to all design content from Unsplash, Photolia, Vecteezy, and Pattern Design. · End-to-end large format self-service kiosk: Improve customer satisfaction and profitability from print order submission to payment, printing and trimming3 with the HP DesignJet Z6 and Z9+ Series Printers and EFI M600 self-service kiosk. Printers can easily adapt to their customers’ needs: cashless transactions and faster file submission with direct access to customer files via USB drives, mobiles, or cloud services. · Simple, one click4 printing: In just one click4 with HP Click printing software, large format print shops can print the most common format print files from a PC or Mac to automate and optimize media usage and helps reduce costs. · New mobile photo printing solution: With the HP Smart App for DesignJet printers5, users now have the power of a large format printer in the palm of their hand on both iOS and Android devices.